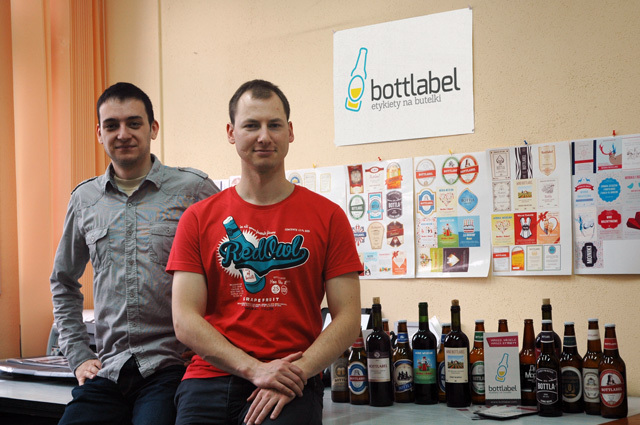 Bottlabel founders - Jerzy and Rafał. Each day we develop and work on the strategy of our service in order to become more innovative and friendly to our users. The product we offer, self-adhesive labels for bottles definitely stands out from the others and makes us the first and only company in this trade in Europe. Expanding the offer to further categories, as well as expanding the base of available label designs directly affects customer satisfaction with our product. We fulfill orders quickly and accurately, bearing in mind the high quality and craftsmanship of labels. We also offer the opportunity to create a unique design and a unique label on your special request. We invite you to follow our pages on social networking sites where we provide interesting facts from „the world of labels” and news related to the novelty on our website, photos, events in which we participated﻿ and much more! Do you want to cooperate with us?